All 14 member châteaux of the Crus Classés de Graves are to auction off double magnums of their wines via iDealwine, with proceeds going to a fund for the victims and families of the 13 November Paris terror attacks. You can bid on the wines here. 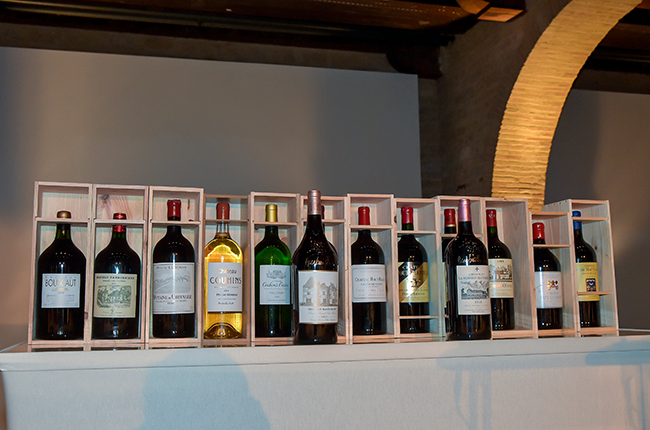 The auction comes after the annual Les Acabailles dinner held by the Crus Classés de Graves in honour of the restaurant and sommelier trade, when traditionally double magnums are distributed through a prize draw for those attending the dinner. ‘The 25th edition of Les Acabailles was held on 15 November this year, just a few days after the attacks,’ Crus Classés de Graves president Jean-Jacques Bonnie told Decanter.com. The money will be donated through the Fondation de France programme, Give for France, that helps not only the families of this attack but also works to educate and prevent future acts of terrorism. The double magnums to be auctioned include Chateaux Haut-Brion 2011, Haut-Bailly 2003, Domaine de Chevalier 1995, La Mission Haut-Brion 2011, Malartic Lagravière 2006 and Couhins-Lurton dry white 2012. If you would like to bid on the wines, please click here from December 1 – 11. Or donations can be made directly to www.giveforfrance.com.